Aerie Homes, the developer of The Preserve at the Bay Club, currently has two homes under construction. The framing of their model home is nearly complete and the foundation of their spec home has been poured and its framing is now underway. They anticipate having both homes completed by this spring. According to Paul Abelite, President of Aerie Homes, three distinctly different home designs ranging from 1,825 to 2,115 sf, with first or second floor master options, three or four bedrooms, and two-and-a-half baths will be offered. Exterior materials will include weather-resistant woods, top of the line windows, and cedar shingles, making the homes as durable as their design is timeless. Homes will feature a minimum of two-car garages, and options include three or four bedrooms, sunroom, bonus room and golf cart garage, not to mention many interior finish options. In addition to activity in The Preserve, two other homes are in the design stage, with at least one ground breaking schedule for May 2014. For more information on real estate opportunities, please contact Dave Andrews at 508-207-9232 or sales@bayclubmatt.com. The Bay Club at Mattapoisett is a country club with an eighteen hole championship level golf course and residential property located in Southeastern MA. To arrange a private tour please contact Dave Andrews via e-mail or phone, 508-207-9232. New pricing has been introduced for home-sites at the Bay Club with average prices reduced by15Â percent and selected home-sites reduced by as much as 25 percent.Â When comparing prices to 5 years ago, some have been reduced by as much as 50 percent with selected golf course parcels priced under $400,000 and selected Prince Snow parcels now in the low $200s. With the general economy improving and the overall real estate market beginning a rebound, we are looking forward to improving sales as families capitalize on excellent real estate values within the Bay Club. Since 2004, the Bay Club at Mattapoisett has maintained its position as the preeminent golf and country club community along the south coast of Massachusetts. Over the last 3 years, five custom homes have been completed and three new homes are under construction. Of note, four of the seven most recent home sales were spec homes, two of which are highlighted below. Remaining home-sites in the Bay Club at Mattapoisett are priced from $240,000 to $610,000. Utilities including town water and sewer, natural gas and electricity, plus fiber optic cable providing telephone, internet and cable TV services (Comcast and Verizon) are available for convenient street-side hook-up by the builder. About Us: Bay Club Real Estate Holdings, LLC (BCREH) is a licensed real estate brokerage office for the Bay Club at Mattapoisett. The office lists and actively markets fully permitted home-sites, homes built on spec by the Bay Club’s Preferred Builders as well as existing re-sales of Bay Club homes. Preferred Builders include Bayside Building, Inc., Steven J. Bishopric, RCR Development and Whitman Homes. For more information about membership in the country club, residential opportunities or home-sites within the Bay Club at Mattapoisett, please contact us at sales@bayclubmatt.com or visit www.bayclubmatt.com. The Real Estate and Membership Development Office is open 7 days a week from 10:00 am to 4:00 pm or by appointment. We can also be reached at 508-207-9232 or dandrews@bayclubmatt.com. The Bay Club has been enjoying considerable interest in membership over the summer months. We have welcomed many new families as golf or social members, including those taking advantage of the newly introduced 40 and Under Memberships. Additionally, real estate activity has continued to build throughout the summer. Numerous homes are under construction, with three new homes under agreement to be built this year. 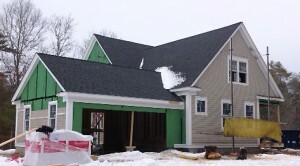 The first is a 3,200 square foot spec home being built on Split Rock Lane adjacent to the 7th tee by Bayside Building. Priced at $1.35m, construction of this home is well underway and scheduled for completion by early winter. The second is a custom home in Prince Snow Village being built by RCR Development and is expected to be complete by next spring. Next under agreement is a home scheduled to be built in The Preserve by Abbott Development in the near future. 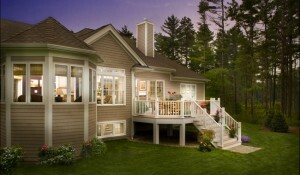 Homes of similar design and architecture by Abbott are priced from $650,000, including home-site and landscaping. Few golf properties boast the amenities and charm as the Bay Club at Mattapoisett. 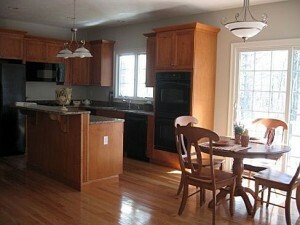 The golf course home listed at 48 Prince Snow Circle is both well appointed and low maintenance. This 2,460 square foot home has 3 bedrooms, 2.5 baths, a two car garage, and full basement. Recently there has been a price modification, 48 Prince Snow Circle is now listed at $699,900. The eat-in kitchen has granite counter tops with built-in double ovens, an island and french sliding doors leading to a wooded backyard that expands into hundreds of acres of conservation land. 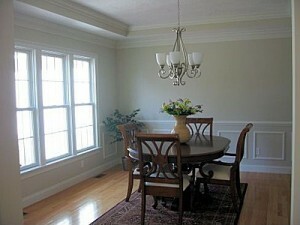 The home has a family size dining room that has a traditional feel complete with wainscoting and crown molding. The cozy living room is flooded in sunlight and anchored by a gas fireplace and custom built-in cabinetry with detailed moldings. Throughout the home are large beautiful windows giving the home a feeling of openness and light. The flooring on the first level is a light stained hardwood and the second floor has wall-to-wall carpet throughout. The first floor master bedroom ensuite has a large walk-in closet, a soak tub, and free standing tiled shower. Also located on the main floor of the home are both a mud room and a laundry room which can accommodate a full sized washer and dryer. Two additional bedrooms and a second full bath are upstairs on the second floor, along with a spacious office/lounge area. 48 Prince Snow Circle has a full walk out basement with french sliders leading to the back yard. 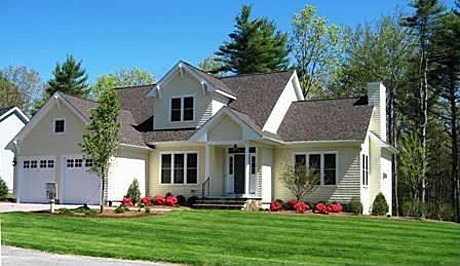 The home is located in the Prince Snow Village of the Bay Club at Mattapoisett, a 24-hour gated golf club community. The Bay Club at Mattapoisett facilities include an 18 hole championship golf course designed by Brad Faxon & Brad Booth, a 9,600 square foot Sports & Fitness Center, which houses a 3,000 square foot fitness center, yoga studio, demonstration kitchen, children’s playroom, conference meeting room, and locker-rooms. The aquatics center is anchored Junior Olympic sized swimming pool with zero -depth walk-in and a gated baby pool area. 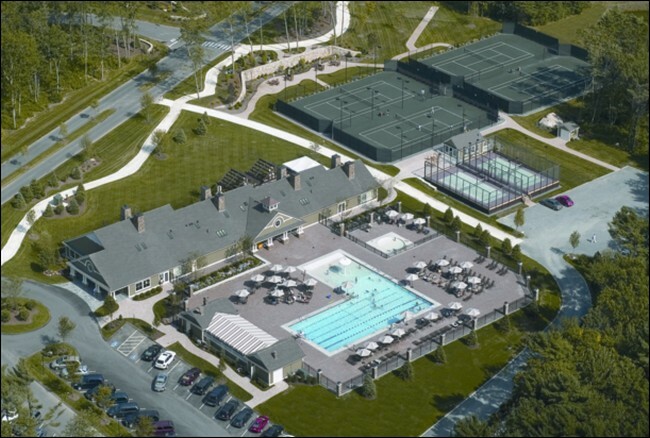 Adjacent to the aquatics center are four lighted Har-Tru Hydro Tennis Courts and two Paddle Tennis courts. Dining facilities at the Bay Club at Mattapoisett include the Golf House Restaurant, where Executive Chef Jim Mercer oversees every detail. Other food and beverage areas include the Halfway Cafe which overlooks the largest of three ponds inside the Bay Club and the 9th and 10th holes and the Snack Bar which is adjacent to the pool. The pond at the 9th and 19th holes is stocked with large mouth bass and brown trout for seasonal fishing. Cultural Activities at the Bay Club are frequent and varied, ranging from local outings to Art Galleries and Garden Tours to guest lecturers by local artisans and scholars. For more information on the Bay Club or to arrange a private tour of 48 Prince Snow Circle, please contact Dave Andrews via e-mail or by phone, 508-207-9232. 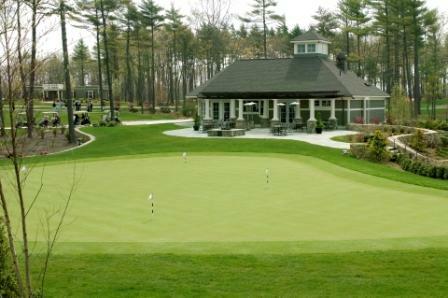 The Bay Club at Mattapoisett is proud to have been selected by Golf Course Home as a part of their Dream 18. The GolfCourseHome® Dream 18 is a fantasy golf course created from the best golf holes from the more than 325 golf courses featured on GolfCourseHome.net, representing more than 5,800 golf holes in the U.S. , Canada , Mexico and the Caribbean . The Bay Club at Mattapoisett’s signature hole, number 17, will be featured as part of the Dream 18, and is in the company of such notable courses as Reynolds Plantation, Tehama, and The Cliffs at Keowee. Hole 17 is the Bay Club at Mattapoisett’s longest most demanding par 4 on the course, playing 487 yards from the tips typically into the prevailing wind. The hole swings slightly from right to left requiring a long tee ball to set up the approach. The 2nd shot is plenty challenging as well, as the hole slopes downhill with a large green side bunker catching any short or left shots. A par here puts you in limited company. Currently there is one house beautifully positioned behind the 17th green, while another magnificent house sits in the distance serving as the aiming point for your tee ball. There are two lots still available to the left of the green on a nice cul de sac along the hole, and one additional lot behind the green. David Lott, publisher of The GolfCourseHome® Dream 18 visited the club last year, arriving in Mattapoisett Harbor by boat. The chronicle of his journey from the Vineyard to the Club was a feature story on his blog this past summer. The Bay Club at Mattapoisett is a country club with an eighteen hole championship level golf course and residential property located in Southeastern MA. To arrange a private tour please contact Dave Andrews via e-mail or phone, 508-758-9543. Few golf properties boast the amenities and charm as the Bay Club at Mattapoisett. The golf course home listed at 48 Prince Snow Circle is both well appointed and low maintenance. This 2,460 square foot home has 3 bedrooms, 2.5 baths, a two car garage, and full basement. 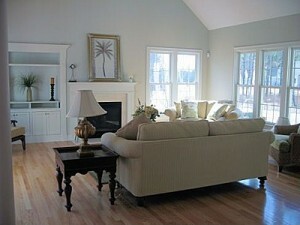 The home is located in the Prince Snow Village of the Bay Club at Mattapoisett, aÂ 24-hour gated golf club community. The Bay Club at Mattapoisett will host the Third Annual “Taste of the Bay”on Sunday, October 18 from Noon to 4:00PM. Seven beautiful custom built homes will host Open Houses each offering food and beverages from local vintners and food purveyors. Two Abbot Homes in the Bay Club’s Preserve neighborhood will also be open for touring. The Preserve offers single family condominium style homes ranging in size from just under two thousand square feet to 2,800 sq feet with a multitude of customizable features. The appeal of condo living combined with the amenities of the Bay Club is an ideal situation. As a part of the The Bay Club at Mattapoisett’s Taste of the Bay, the Sports & Activities Center demonstration kitchen will feature local favorite Chad Michael Peters, who will be sharing tips and tricks for gorgeous floral arrangements. Everyone is welcome and we invite you to bring family and friends. In order to plan appropriately we would appreciate RSVP’s to the Sales and Information Center, 508-758-9543 or via email by October 16.